othervoice1, Nailwraps and Angelman like this. 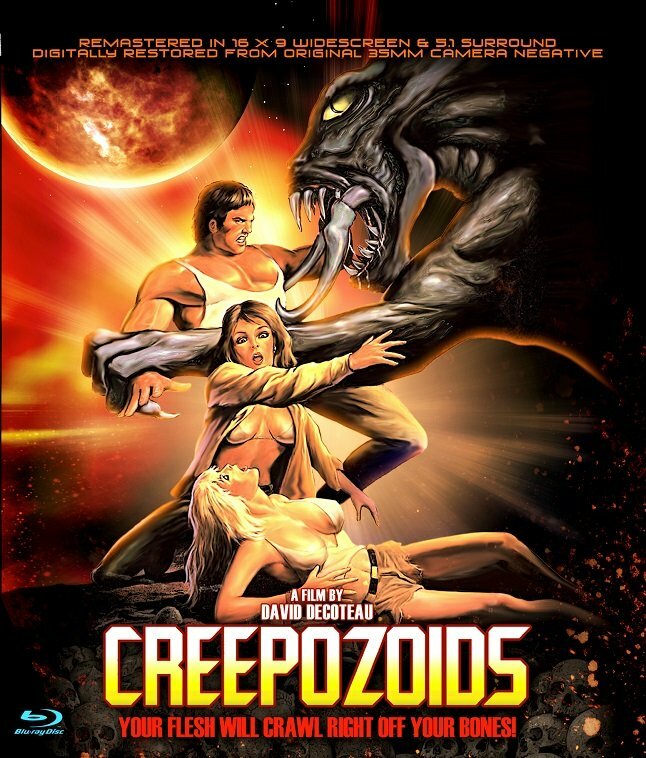 "David DeCoteau's CREEPOZOIDS (1987) is coming to Blu from Full Moon Features & Charles Band! In the post-nuke wasteland of 1998, five survivors enter an abandoned underground research center to escape an acid rainstorm. Unfortunately for them, the facility still houses some of its genetic experiments – and they ain’t too happy about the building’s new guests. 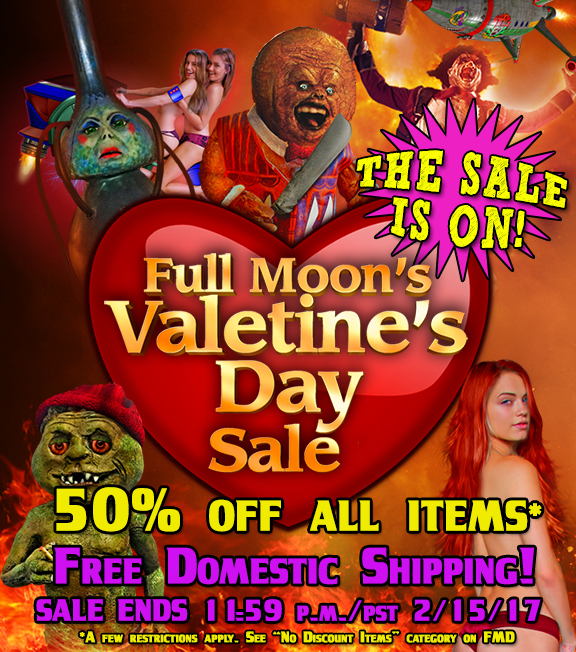 A fun ‘80s time-waster with cool monsters, copious slime, and Linnea Quigley in a shower – what more do you need? According to the director, a new 2K scan from the original camera negative has been completed, with additional color correction and restoration. He’s also recorded a new commentary track, and there will be a photo gallery with never-before-seen behind-the-scenes photos. More details and a purchase link when available!" I'm not a fan of the kind goofy horror features associated with Full Moon, but for some reason, I really like Creepozoids. Has there been any word on the release since it was announced? I'd be interested in getting Puppet Master's 1 and 3 remastered. Today's tidbits! The Creeps is now available on Blu-ray! "Wow! Just heard we found 6.5 hours of behind the scenes footage from RETRO-PUPPETMASTER. This BluRay is gonna be awesome." So I guess they found a way to restore the films shot on film and edited on video. Retro Puppet-Master is a painful experience to endure. 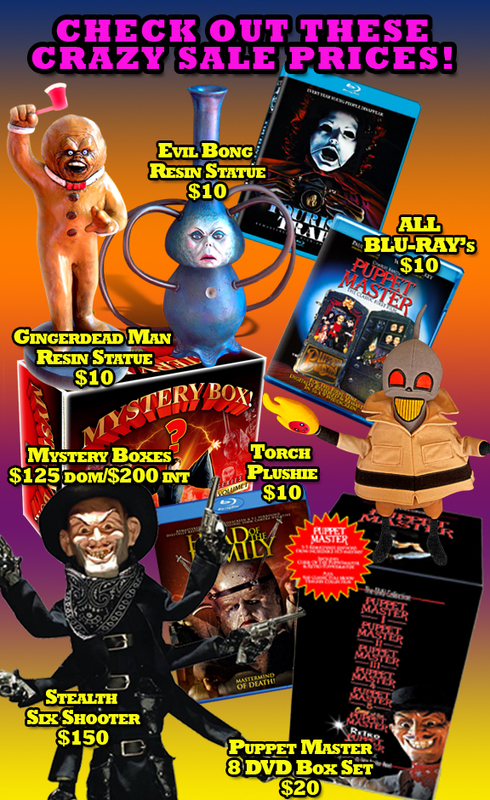 I have no interest in purchasing any of the Puppet Master movies after 5 on Blu-ray. I rather use the money to pay someone to kick me in the balls with steel toed boots. fceurich39 and Zombie Dude like this. Well it certainly wasn't bad as Curse. I mean, the film ended...unfinished. Both are huge turds and an insult to the original 5 films. I'll give Retro some credit: It didn't use non stop stock footage for the Puppets and it didn't completely rip of the entire screenplay of Ssss like Curse did. This gives credence to a Blu-ray release, as the Blu-ray of Tourist Trap was not longer after that made it to Rifftrax. Special features - the original trailer and a vintage behind the scenes feature. othervoice1, Angelman and zompirejoe like this. "This seems like a typical Jeffrey Combs film. Doctor Mordrid has a science-fiction/fantasy base, modest budget, some of the effects are surprisingly strong (dino skeleton fight) and the whole experience is... fun. It might be one of my favorite from this actor. The 88 Films Blu-ray presentation is about as far away from 'demo' as you could get but it suits the lesser-film and campy charm. I'll probably watch this again..."
Hm... The technical side of the release looks okay, except what is it with Full Moon and lossy audio? I also wouldn't have minded an interview with Ken Abraham. Dude was a stud. 88 Films have included lossless audio tracks in the past where the US release featured lossy audio (example: Scalps). I'll no doubt break open my Creepozoids the moment it arrives, but if 88 significantly improves upon it, I'm not ruling out an upgrade. ^^ Full Moon just continue to live in the past and lossy audio. Who knows why. I've never seen Creepozoids, but it definitely looks like something I would enjoy. Probably going to wait until the 88 release hits before deciding which one to buy. Waiting a few more months won't bother me. I was kind of annoyed, I ordered mine just hours before 88 announced theirs. And I knew Full Moon had a record for lossy audio. I'd say there's a good chance you'll enjoy it. It's a brisk little monster movie with a game cast, and more straight-faced than most of Full Moon's own productions. Anyone get lurking fear if so how is the bluray? I've had the 88 Films Blu-ray since last October, which has lossless audio. It's interesting that this time around the US Blu-ray took 6 months longer to be released.